What are the differences between Free, Pro and Super? 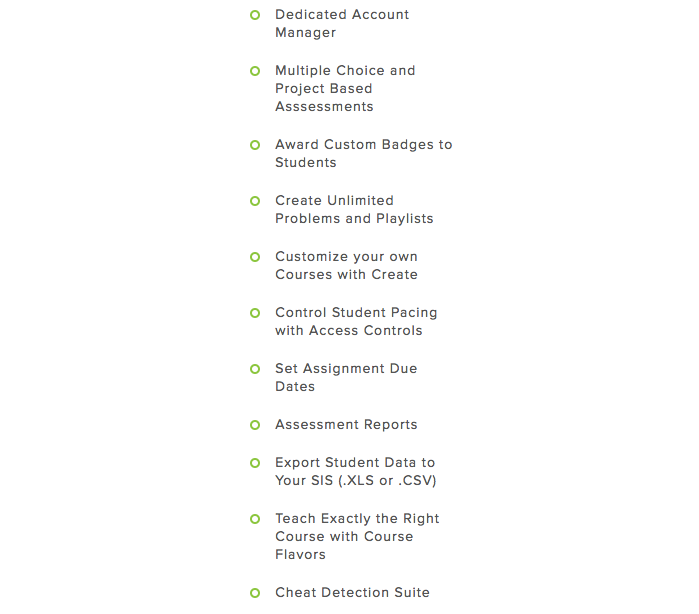 The main course curriculum is available on the Free plan with CodeHS. 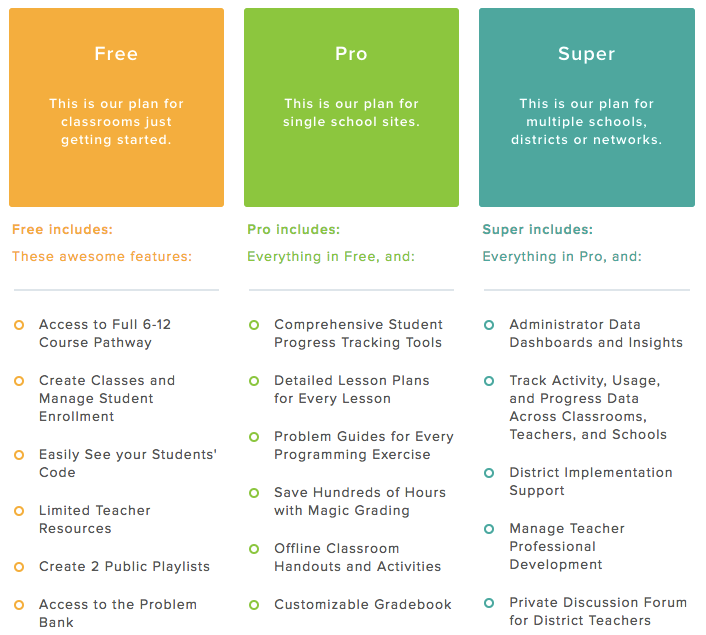 Many teachers upgrade to our Pro plan because they provide additional tools, curriculum, and support for teachers and students. Super is typically for district or charter networks, and other large scale rollouts because they provide added analytics through an administrator dashboard.